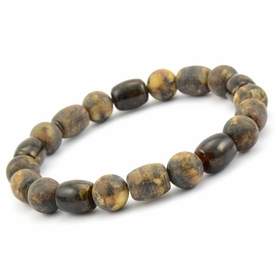 Mens Beaded Bracelet. 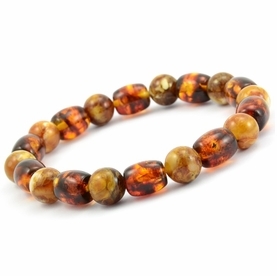 Discover Natural Healing with Mens Amber Bracelet. 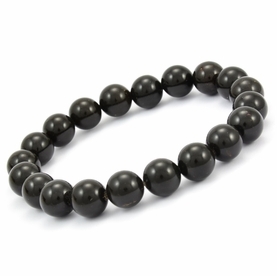 Stylish, Healing, our Mens Beaded Bracelet made to complement any look, anytime. 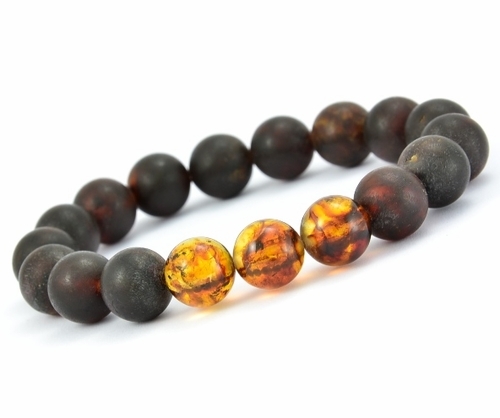 Crafted by hand from natural Baltic Amber. 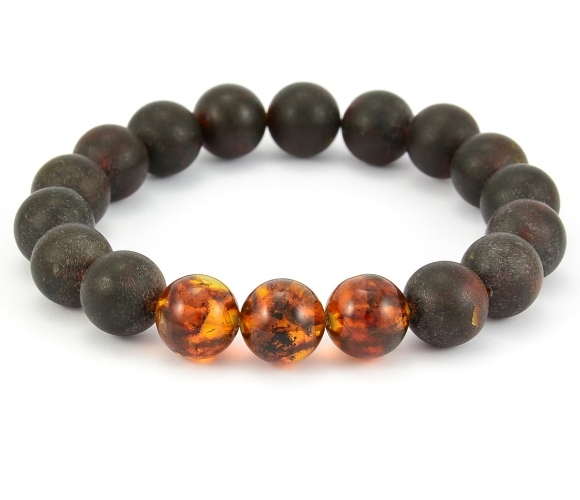  Material: 100% Natural Baltic Amber.  Color: Matte Black, Polished Cognac.  Shape: Tubes and Round Beads.  Cord: 1mm Durable Strong and Stretchy Cord. 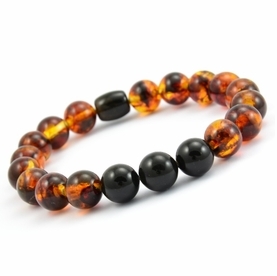 Simply slide bracelet on and off wrist.  Crafted by hand and one-of-a-kind.  Ships within 24 hours.